One of the family Christmas traditions that we have is having dinner together as a family on Christmas eve. Back when we were still kids, my mom would cook something special for dinner just for our family. Family dinners were quite hard to do when you live in grandma’s house. But we were able to do it somehow even if it was inconsistent. And as we grew older and had our own jobs, we started having dinners out. And since my dad died, we tried to keep up with the tradition. For this year though, we weren’t able to go out on Christmas eve so we scheduled it for Christmas day dinner instead. We planned to have dinner at Camp John Hay Manor so we could watch the light show. Unfortunately, they only had buffet that time which was way beyond our budget. And since we had some time to change plans, we opted to have our family Christmas dinner at Lemon and Olives instead. 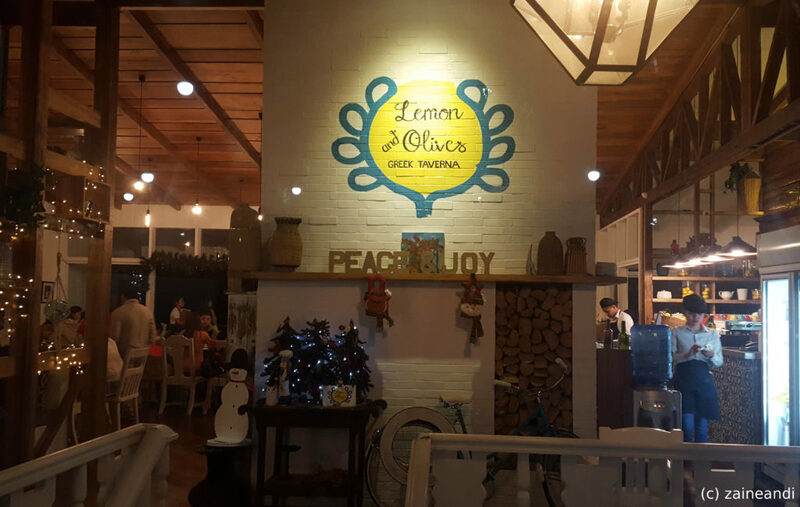 Lemon and Olives is the first Greek authentic restaurant in Baguio. 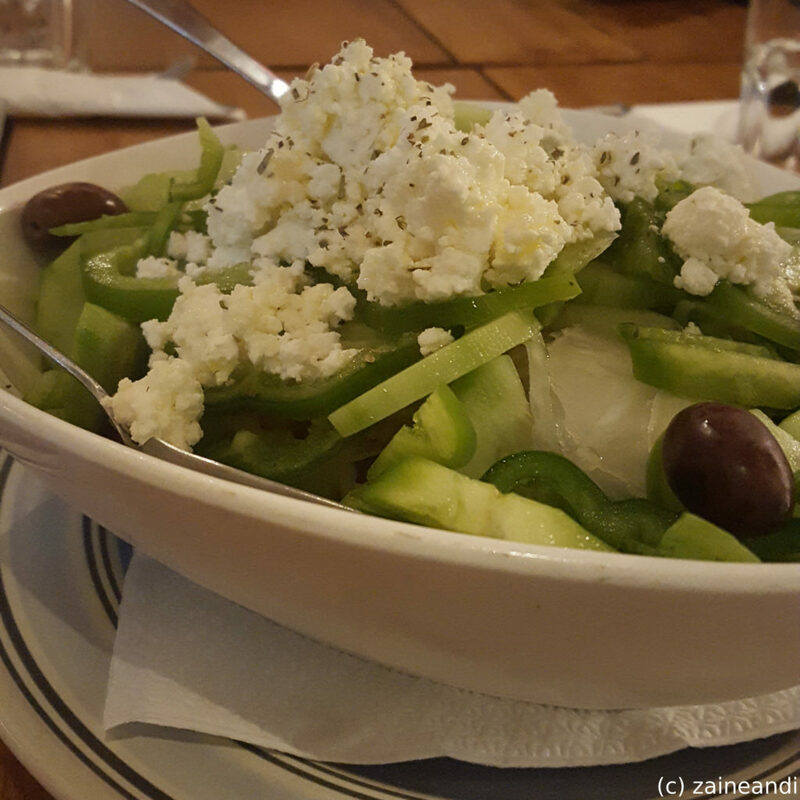 After all, the chef is Greek, from Athens. I learned about this place when my sister posted a photo of their dinner dates at this place. The place looked interesting and I’ve been wanting to try it since then. Since December in Baguio means heavy traffic everywhere, I think we got lucky to have gotten a cab within 10 minutes. Traffic wasn’t as bad as expected and we reached the place in no time. The place has this rustic, homey feel. And I love the lights. I don’t know what it’s called but I would like lights like this when I build my home. Food prices is quite pricey for Baguio but I would like to say that the prices are okay with the food that they serve. And besides, I think it is about time that we have nice dinners as a family once a year. Haha! We’ve ordered quite a few but I was not able to try it all. Let me show you what we got. 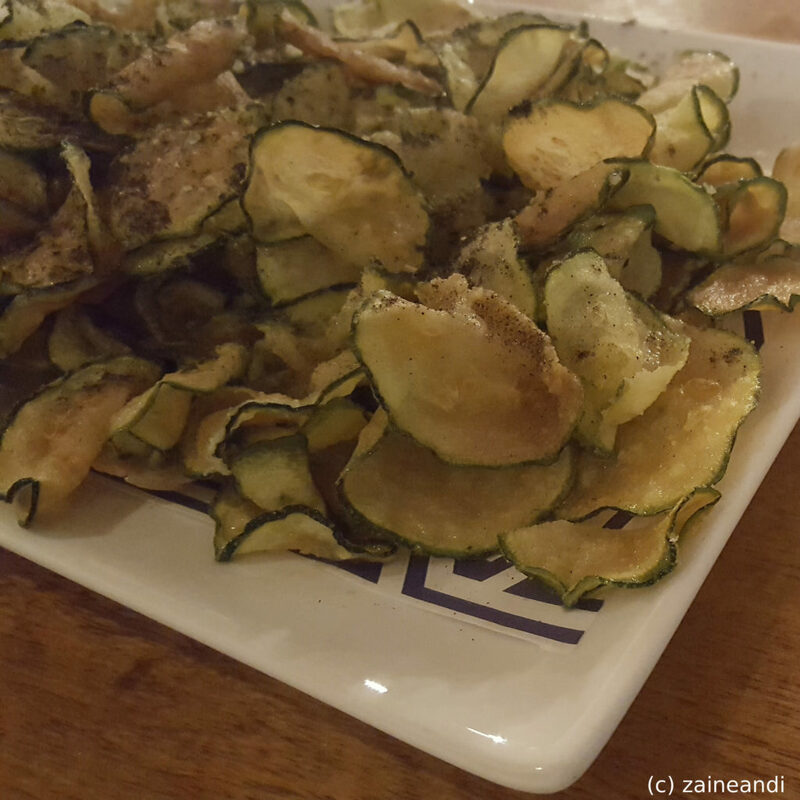 Zucchini Chips, Php 150. This one I really enjoyed. I shall try to make this some time. 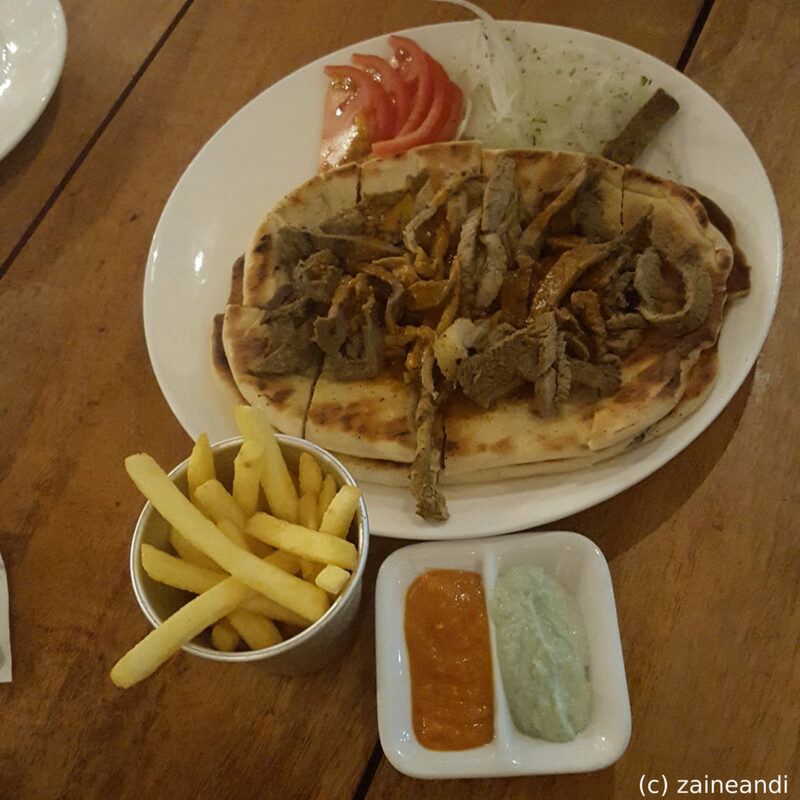 Souvlaki Mixed Plate of lamb, beef and pork, Php 330. This was supposed to be for one but serving is good for two. We got two of these to share. I really enjoyed this one, too. 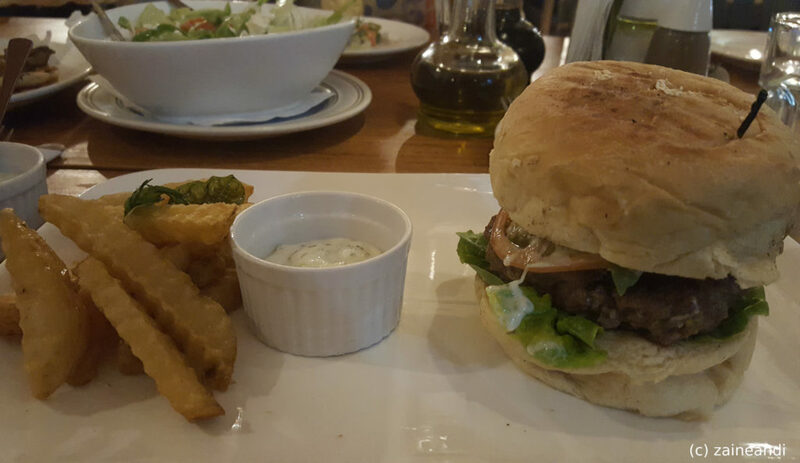 Athens burger, Php 280. This was my sister’s choice and it was big. She was not able to finish it all. 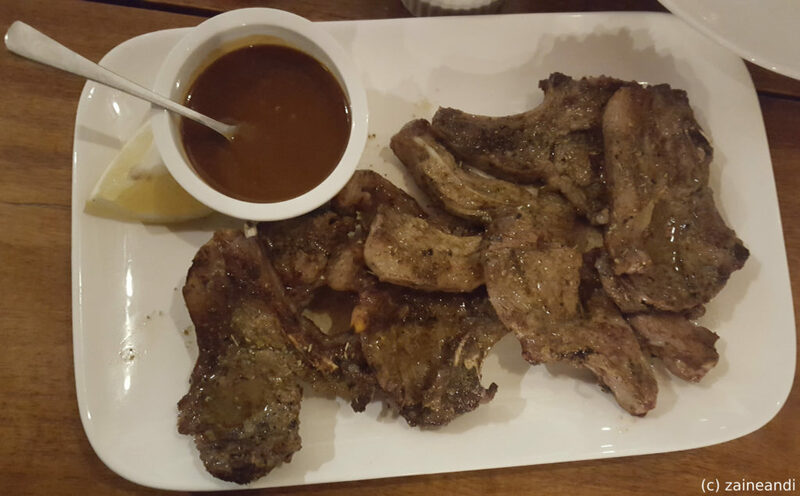 Lemon and Olive’s standard lamb rack, Php 1, 020 good for 2. This was delicious. The meat was tender and juicy and the sauce was real good too. 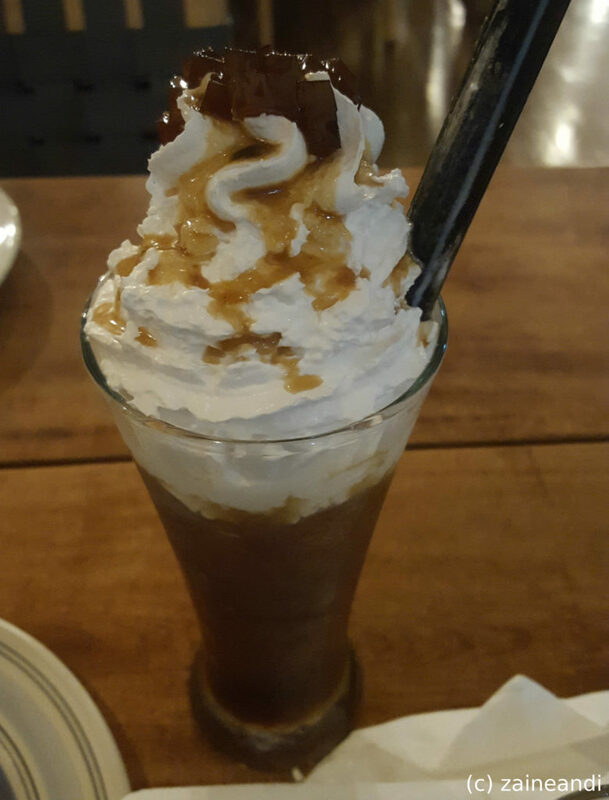 Greek Frappe with Coffee Jelly, Php 180. My brother’s drink of choice. This was good and refreshing. Cappuccino, Php 100. 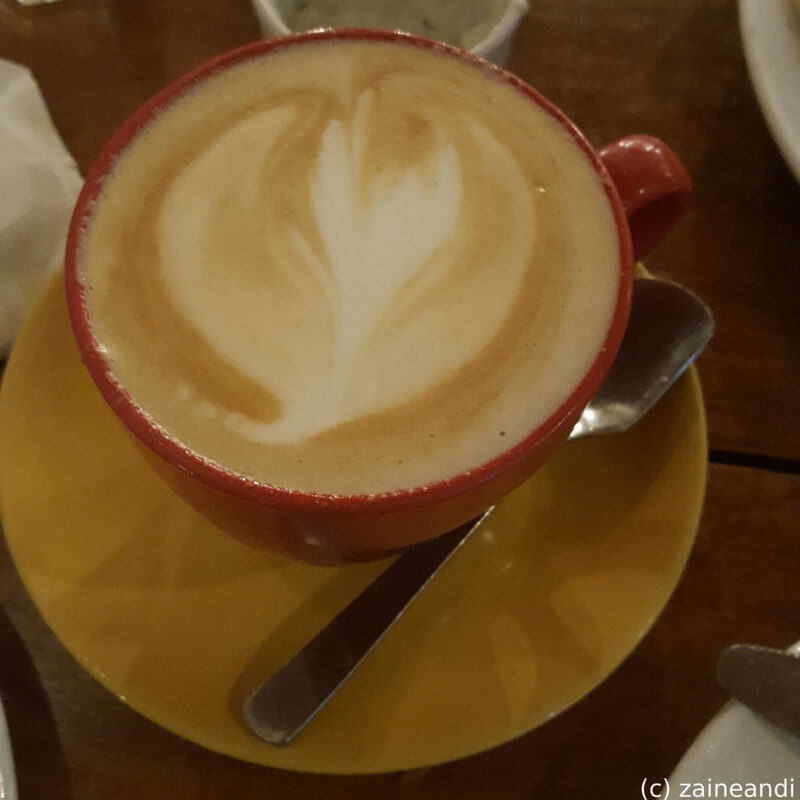 Because what’s dinner without coffee afterwards, eh? Classic Baklava, Php 160. 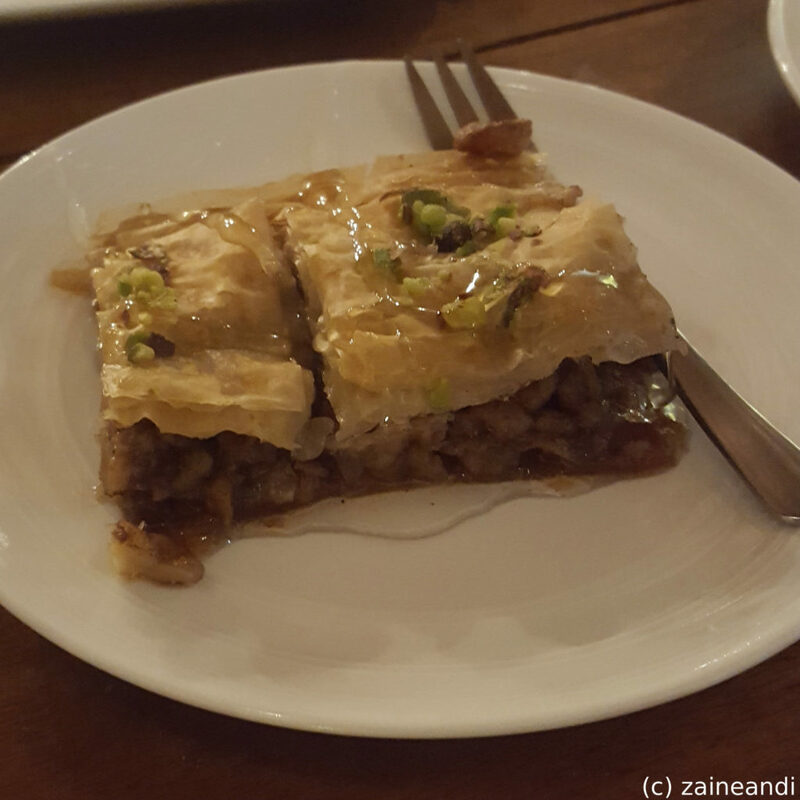 I would say that a Mediterranean dinner should end with a baklava, don’t you think? I really enjoyed this though my family thought it too sweet. This is definitely a great pair for a strong brew. Our family dinners are nothing spectacular, really. It’s all about us coming together to have dinner with each other. More often than not, Christmas dinners is the surest time that we are all complete given our busy schedules. We enjoy good food and great company. 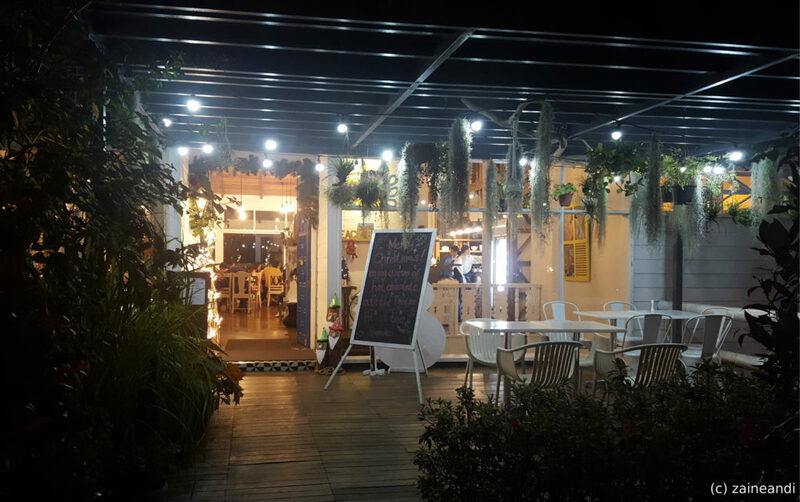 If you’re in Baguio and are looking for a good place to dine, I would recommend Lemon and Olives. You can check out their Facebook page here. We love eating out as a family not just for Christmas. My husband loves Souvlaki, I hope I get to try that resto when we visit Baguio. Family dinners truly gather its members. I could see that husband and i will be left alone in about ten years from now and its only Christmas dinners we will be having to spend with our married boys. Now, we show to them the importance of Christmas. Spending Christmas and New Year at Baguio seems very nice. 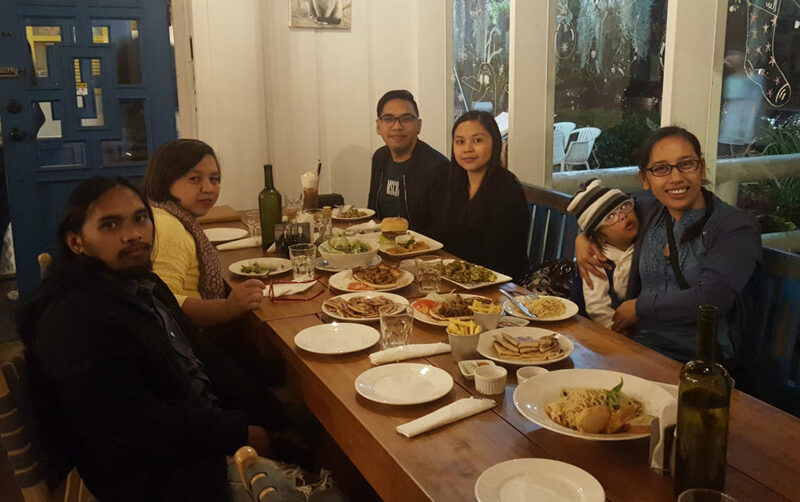 A lot of beautiful places to visit plus restaurants at Baguio can be real scrumptious. Oh I love the look of the restaurant! I’m really a sucker for all things rustic hehe. And everything looks delicious, especially that rack of lamb! 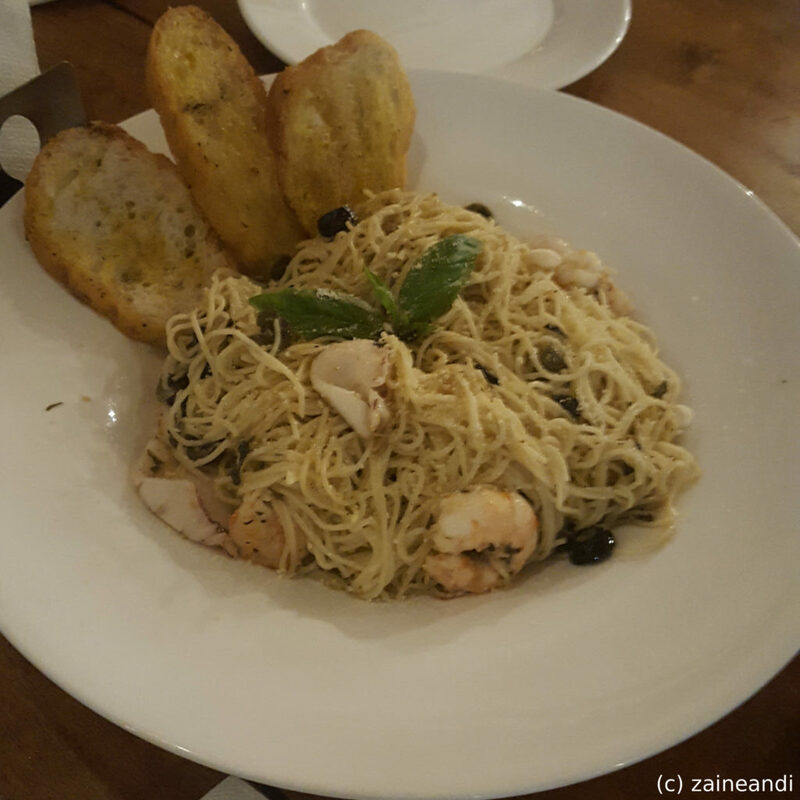 I think the price is reasonable, specially that the food really satisfied all of you. Also, I like the “Greek feel” that the restaurant exudes. I hope my family and I will be able to visit Lemon and Olives one day. Hmm, interesting dish. We are planning to be in Baguio soon and I’ll definitely have this in my mind. 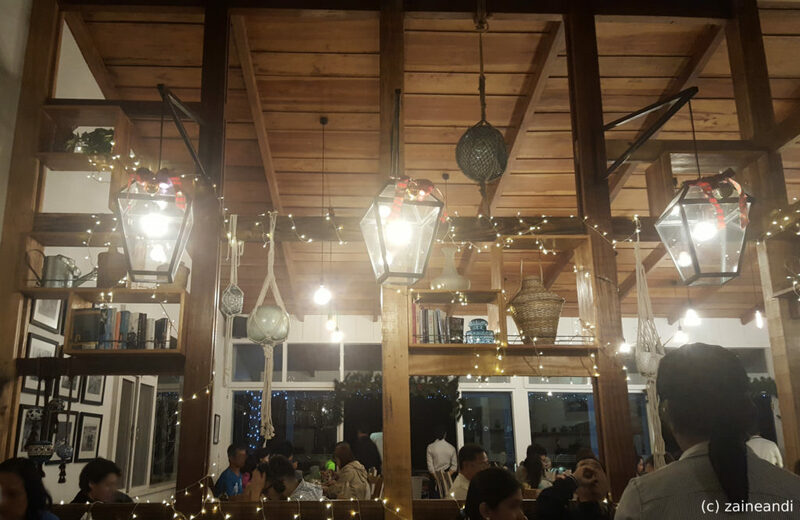 I love restos with a rustic theme, nakaka goodvibes talaga. We were supposed to go to Baguio this holiday but we had a difficult time to book a place to stay. Dapat pala as early as Nov magbook na ng hotel. Will definitely consider this resto when we visit Baguio. Thanks for sharing!